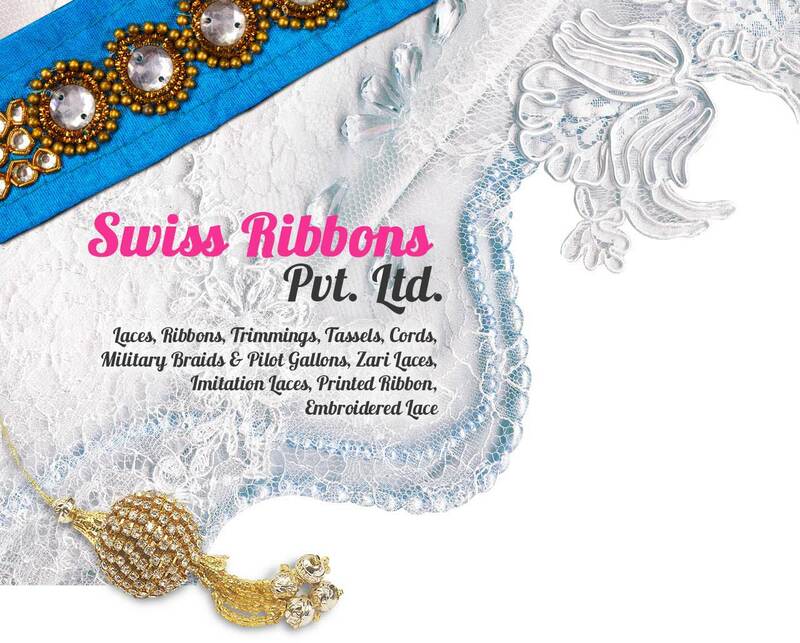 Swiss Ribbons Pvt. Ltd is Indian Manufacturing Company, we found this company in year 2002. We have started way 30 years before with brand name Harish B. Jariwala. So on one hand we have been able to leapfrog the industry, by creating our own innovative and creative designing by using modern technology, marketing and people, unhindered by legacies. Our company is mainly in manufacturer and exporters for Laces, Ribbons, Trimmings, Tassels, Cords, Military Braids & Pilot Gallons, Zari Laces, Imitation Laces, Printed Ribbon, Embroidered Lace and All Over. We believe in serving good quality and customized working with good finished quality. Our firm has well recognized for supply best product and timely delivered. Our company always believes in adopts new technology and try to improve with help of that we offer standardize product. Out company was one who has developed “Organza Jacquard Lace”. We always use favorable term and condition. Our focus markets are Indian as well foreign market. 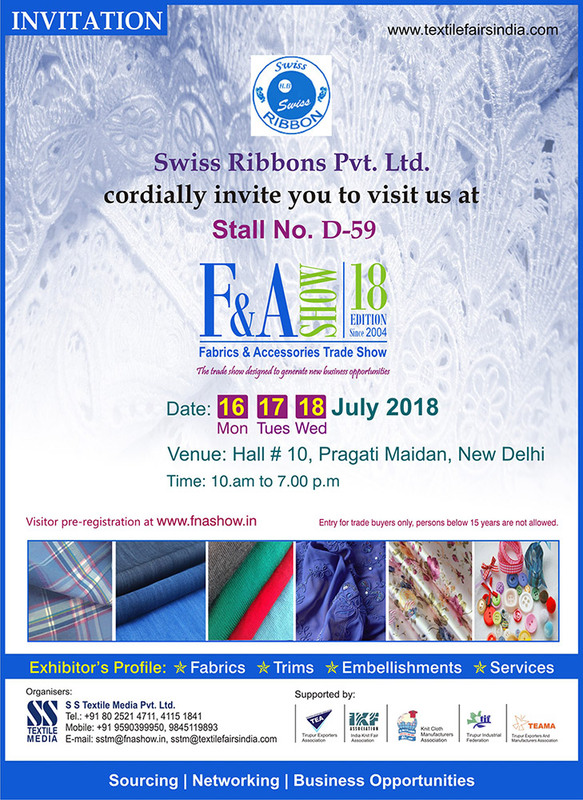 We offer product which use in Sarees, Hosiery, Women's suits, Scarves, Lingerie, Shirting, Dresses, Bags, Children Garments, Accessories and evening wear and bridal wear. We make product in variant colors and sizes. To serve client what he is looking for and offer that makes his product useful. To supply effectively and offer competitive price. To use expertise in creating new product and create good responds from clients. To create better management to get excellence in doing working. To use best possible resources that we have and always expands capacity to built our market. We manage well product design and try all effort to serve client timely and consistency. We supply consistently which will help customer to server to it user. We built capacity and expand our capability that can help us sever with cutting edge technology.